Diana Ross, Anita Baker and Jill Scott are the headline acts for the 2008 Air Jamaica Jazz & Blues Festival in Montego Bay, Jamaica, January 24 – 26, at the Aqueduct at Rose Hall. Ross, a global entertainment icon and a legendary musical treasure whose music has, for decades, inspired romance, happiness and joy is slated to bring the curtains down on the festival on Saturday, January 26th. Baker, was one of the definitive quiet storm singers of the ’80s with her debut album, ‘Rapture,’ in 1986 which went on to become a platinum, Grammy winning smash that produced two all-time quiet storm classics in “Caught Up in the Rapture” and “Sweet Love.” Baker is slated to perform at the Friday, January 25. Scott is an R&B singer known for hits like “Gettin’ In the Way,” the Grammy winner “Cross My Mind,” “Whatever” and the new 2007 song, “Hate on Me” from the album, ‘The Real Thing: Words and Sounds Vol. 3’, is set to open the Jazz Festival on Thursday, January 24th. Additionally, Trinidad-born, UK-raised singer, Billy Ocean, revered in the mid-70s to 80’s for hits like ‘Caribbean Queen’ and ‘Suddenly,’ is set to grace the festival, having recently returned to the touring circuit after an almost 15-year hiatus. Other artists slated to perform at the festival to date include reggae crooner; South African trumpeter and flugelhornist Hugh Masekela; Ryan Shaw, an exciting new artiste whose music is described as “new school meets old school,” Jessica Yap; Yerba Buena and pianist Marjorie Whylie. Dubbed the ‘Art Of Music,’ the festival is a three-day musical event that welcomes 40,000 patrons each year. It has become the showcase for unforgettable music on two stages, delicious Jamaican and international cuisine and an overall great time. The Air Jamaica Jazz and Blues Festival, over the years has attracted patrons from the USA, Europe, the Caribbean and Jamaica. 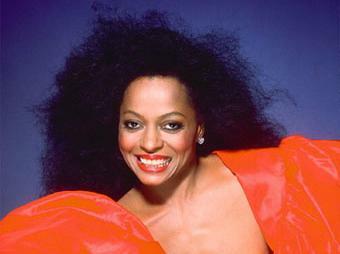 International artistes that have performed at the festival include Alicia Keys, Kenny Rogers, Norah Jones, Julio Iglesias, Roberta Flack, Lou Rawls, Dionne Warwick, India Arie, Nancy Wilson, Earth Wind and Fire, Kenny G., Michael McDonald, Gladys Knight, Kool & the Gang, Al Jarreau,Branford Marsalis, Brian McKnight Harry Belafonte, Babyface, Stephanie Mills, George Benson, Erykah Badu, Gladys Knight, Michael Bolton, and many more. And to bring the Jamaican flavor well known names such as Ziggy Marley, Morgan Heritage, Third World, Toots Hibbert, Shaggy, Sean Paul Maxi Priest, Beres Hammond, Monty Alexander, Ritchie Stephens and many other Jamaican talents have made their mark on the Air Jamaica Jazz and Blues stage. In addition to its main objective of world-class musical entertainment, the festival prides itself on introducing many local and foreign talents to the world through its “Art of Music” initiative, which seeks out and showcases new talent to an audience to which they would not otherwise have been able to reach.